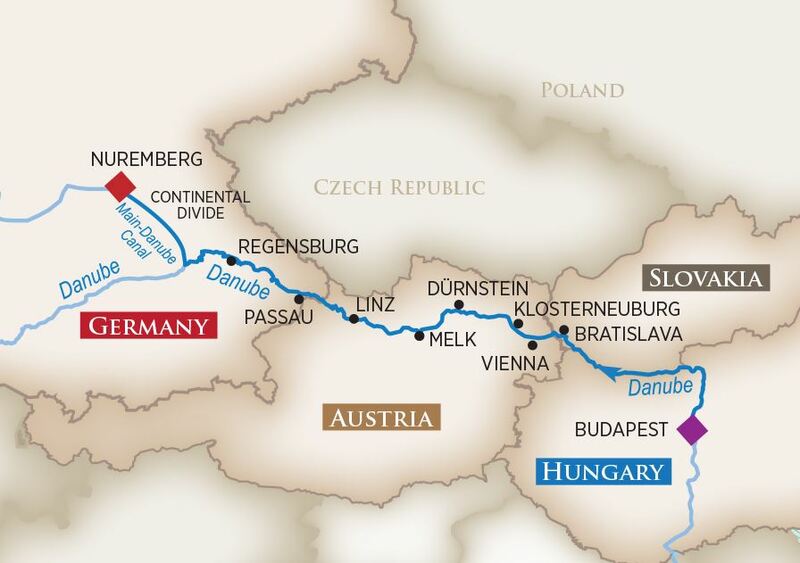 2 nights hotel in Budapest at the Sofitel Chain Bridge (or similar), including daily breakfast"
With a design inspired by classic ocean yachts, the 162-passenger AmaPrima (2013) offers a luxurious cruise experience on Europe’s most legendary rivers. Our exclusive “Twin Balconies” are available in most staterooms and suites. Guests can enjoy fine dining in the main dining room or at the intimate Chef’s Table restaurant. All ships also feature a heated Sun Deck pool; a magnificent glass elevator; fitness center; massage; hair and beauty salon; complimentary in-room Internet access and first-run Hollywood movies; complimentary Wi-Fi; plus a fleet of bicycles for guests to borrow and enjoy.